If Ginny Reed is still alive–who is the woman buried in her grave? After losing her parents and her sister, Christy Reed has been mired in grief. Now, life is finally starting to feel normal again–until an envelope addressed in her sister’s handwriting arrives in the mail. And the note inside claims she is still alive. FBI Special Agent Lance McGregor, a former Delta Force operator, is assigned to reopen the case . . . but he’s coming up with more questions than answers. Is Christy a pawn in a twisted cat-and-mouse game–or the target of a sinister plot? As Lance digs deeper, one thing becomes clear: someone in the shadows has a deadly agenda. 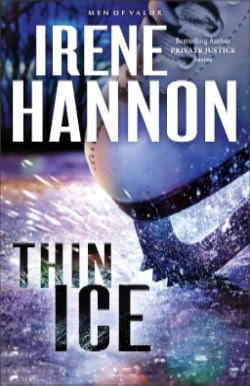 Bestselling author and three-time RITA Award winner Irene Hannon pulls out all the stops in this high-stakes thriller that races to a bone-chilling finish. From the very beginning, Thin Ice takes readers front and center to the dramatic events that unfold. Irene Hannon does a wonderful job crafting a suspense filled story line, and I loved the edge of your seat moments. I also enjoyed the romance that develops between Christy and Lance and cheered them on as they struggled to stay ahead in a twisted game of cat-and-mouse. Thin Ice is an exciting romantic suspense, and I look forward to reading more about the McGregor brothers as the Men of Valor series continues! 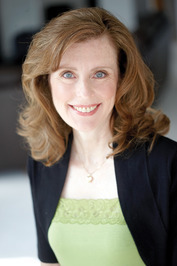 Irene Hannon is the bestselling author of more than forty-five novels, including That Certain Summer, One Perfect Spring, and the Heroes of Quantico, Guardians of Justice, and Private Justice series. Her books have been honored with three coveted RITA Awards from Romance Writers of America, a Carol Award, three HOLT Medallions, a Daphne du Maurier Award, two Reviewers’ Choice Awards from RT Book Reviews magazine, a Retailers’ Choice Award, a Booksellers’ Best Award, and a National Readers’ Choice Award. In addition, she is a two-time Christy Award finalist, and Booklist included one of her novels in its “Top 10 Inspirational Fiction” list for 2011. She lives in Missouri. Learn more at www.irenehannon.com.